The fight for numbers isn’t about to end among social media companies. Every company is being pushed to create new features and enhance users’ experiences in a bid to retain their users, pull more, and get advertisers calling. On that very note, Twitter Inc (NYSE:TWTR) has introduced a new audio playing feature that enables users to listen to music within their tweets. In a partnership with the Berlin-based SoundCloud, the company has brought in an audio card that enables users to listen to audio while scrolling down, reading tweets. The user can easily use the card inside Twitter App for Android and iOS. 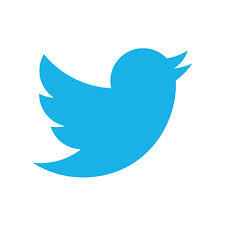 This is a big step for Twitter Inc (NYSE:TWTR) whose face is dominantly text. Adding such media functionalities is a step towards the right direction for a company that’s in a very competitive industry. Several social media and messaging systems have been working to introduce audio functions such as video and audio in an effort to keep users around. Facebook Inc., for example, has been refining its native videos feature to enable users do more with them. While on Facebook users can easily play videos on their timelines without having to leave the window. Twitter Inc (NYSE:TWTR) will be getting audio from SoundCloud’s partners such as CNN, Coldplay, Warner Music, NASA, The Washington Post, and more. With such partners bringing in their contribution to the audio stream, users will definitely have a lot to listen to and share. The new feature will enable musicians to share their music and make it easier for those who see their tweets to simply click and listen to the music. “Many more musical artists and creators will be able to share exclusive, in-the-moment audio to millions of listeners on Twitter,” the company said. Other tech giants that have also introduced music streaming services for their customers include Apple Inc. and Google Inc. Both companies have made music streaming acquisitions and are working to position such services at the top of the industry.